I spent most of the day looking at fashions. First stop The Children&apos;s Place--loads of layers and funky prints. They are pushing buying a complete wardrobe (think 20 pieces) for $250 bucks this fall. Sounds good in this economy. Next stop, Payless Shoes. I met with Summer Rayne Oakes the head designer of Payless&apos; Zoe & Zack shoes. These are eco-friendly shoes all priced under $30. Pretty cool concept to bring well-priced green fashions to the masses. First reports look good. The children&apos;s styles like the are selling like hotcakes. Women&apos;s&apos; styles (check out the Tigerlily Wedge) are also out-performing expectations (see the Daisy Frayed Skimmer). Nice work Payless. After all this I treated myself to a little shopping on 5th Avenue in NYC. 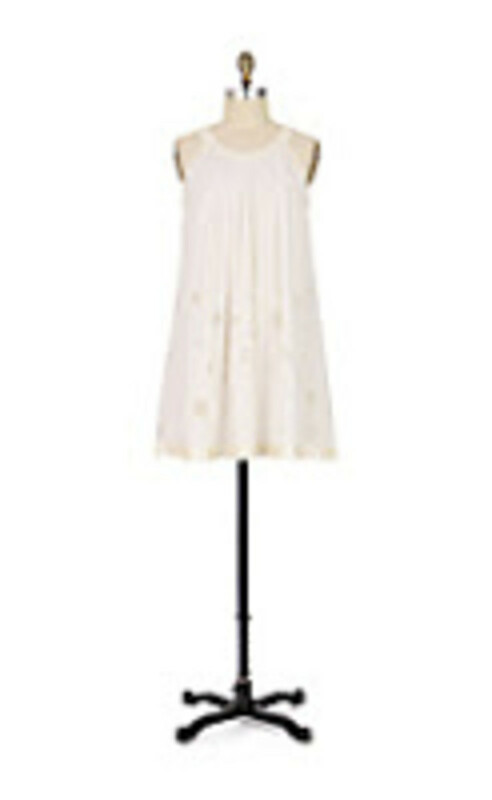 I was looking for summer dresses for the girls and to supplement my wardrobe--dresses feel so NOW. No accessories necessary. Just one piece and go. For the minis, I found the sweetest looks at Zara. The girl&apos;s fashions are so euro-chic. I grabbed three dresses, socks and a little coat all for under $70. And the styles look fresh out of a pricey boutique. My hunt to score dresses was a tad more frustrating. I hit a half-dozen shops--no luck. Until I happened upon my beloved Anthropologie. Why do these clothes fit me so well? Don&apos;t know. But they do. Plus everything is machine washable (who has time for drycleaning?). Two dresses and a pair of capris later, I feel fully updated.